SWS GmbH is a registered company based in Switzerland. Above all, Swiss Winding Service GmbH serves much-respected industries like elevator technology, automotive, medical and others. Who we are. Furthermore, we provide mechanic-service repairs, winding process quality improvement, maintenance and programming training for winding machines. In accordance with our goals, we set the highest standards for ourselves. For this reason, our technicians are mechanical experts and problem solving oriented, with programming knowledge and winding products knowledge. We are a small and enthusiast team. Above all, integrity, reliability and efficiency define who we are, what we do and how we do it. Moreover, SWS GmbH is dedicated to create and maintain a reputation for high-quality improvement of winding processes. Always up for a challenge, Alfonso isn’t afraid to dive into new projects or hobbies. He has many creative ideas and organizational skills that help us to be more efficient in what we do. He began his professional career working many years as Product Certification Manager in Quality Assurance for 28 worldwide subsidiaries of a multinational company. 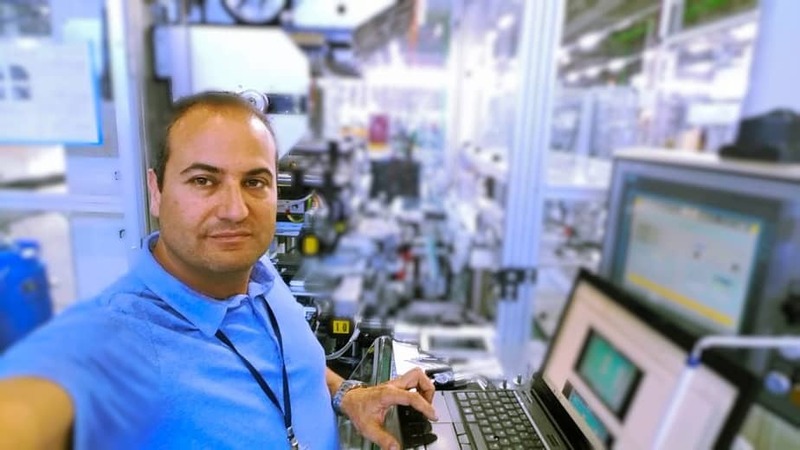 Alfonso has also many years of experience as a mechanical expert and programmer. In the last years, he increased his experience in winding technologies for automotive and lifting industry. Outside of work, Alfonso enjoys gardening, good food and photography, and he loves to read… a lot. Throughout her career, Carmen has played a wide range of roles, as a credit officer in the banking sector or as a charity fundraiser for nonprofit organizations. As a mediator, she helped parties in conflict to reach a voluntary resolution at their disputes. She has also several years of experience as a senior expert accountant. More than 10 years, Carmen managed with success her own company which offered accounting services and tax advisory for SME. In her personal life, Carmen defines herself as a woman in love with her amazing, remarkable, extraordinary husband. When she’s not working for SWS, can usually be found gardening, exploring Italian cuisine or making marmalade. Music and love are all around.